This event will last 6 hours and 30 minutes. 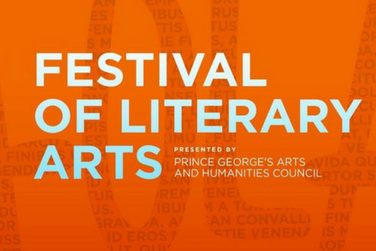 On Saturday, May 12, MilkBoy ArtHouse is hosting a full day of panels, discussions and events for all ages as part of the Prince George’s Arts and Humanities Council’s (PGAHC) 2018 Festival of Literary Arts (FOLA). PGAHC’s FOLA is a literary consortium that celebrates the intersection of authors, poets, screenwriters, visual artists, literary entrepreneurs with personal journeys, career paths, and dream building throughout Prince George’s County. FOLA is meant to inspire dreams and reinvigorate dormant ideas, while celebrating cultural and creative diversity. For more information, visit http://www.pgahc.org. Award-winning, national best-selling author of nine books and independent publisher, Jessica Tilles, will share tips on publishing your writings. The economic success of the Black Panther movie has expanded and broadened the appreciation of science fiction, fantasy and Afro Futurism. Join cultural architect Risikat Okedeyi, Afrofuturism Network founder, William Jones and Todd Steven Burroughs, Ph.D, author Marvel’s Black Panther: A Comic Book Biography, From Stan Lee to Ta-Nehisi Coates along with facilitator, curator/sci-fi geek Carol Dyson in a lively discussion about the advances in these fields of study. Book signing will follow. Author/blogger Deliah Lawrence will moderate a panel discussion with authors Austin Camacho, Teri Cross Davis, Michelle Junot, and Jung Yun, who will discuss and share excerpts from their fiction and non-fiction works. Discussion will be followed by a Q&A and authors’ book signing. There are many resources for authors to support their book projects, however once their projects are completed, authors may need some advice and direction on next steps. This speed dating event, moderated by PR guru Cherrie Woods will feature four experts, literary agent, Dara Kaye, filmmaker Monda Webb, conference founder Sharon Lucas and blogger Andrea Blackstone who will interact with workshop attendees to offer advice on what to do once their book projects are completed.